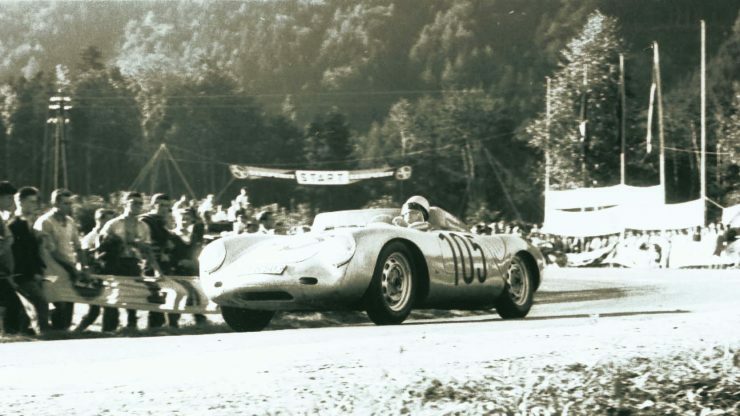 The Porsche 550A Spyder has a well-earned reputation for being a giant killer – it took on and handily defeated far more powerful cars including the likes of the 3-litre Mercedes-Benz 300 SL and Maserati 300S, and the more powerful still 3.5 litre Ferrari 860 Monza. 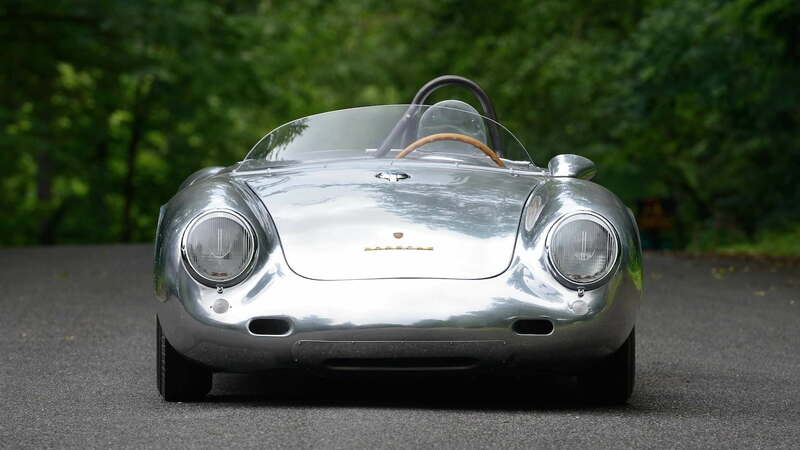 The Porsche 550 Spyder and its successor the Porsche 550A were developed by the marque in the early 1950s specifically for competition. 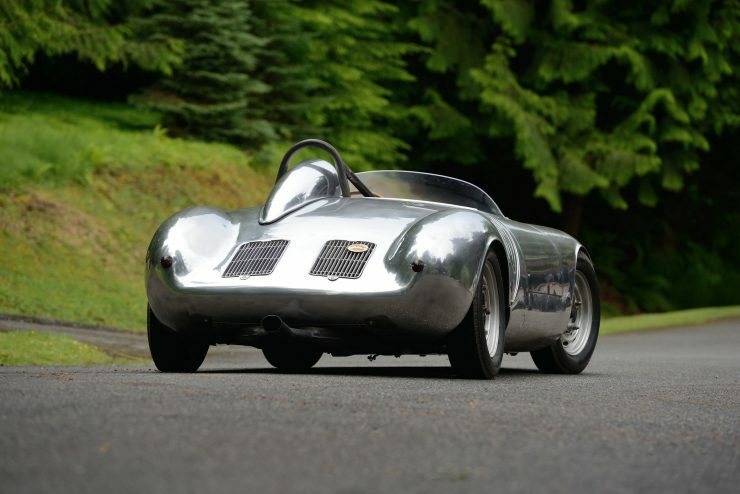 The earlier 550 was released in 1953, it had a ladder chassis, a mid-mounted 1.5 litre four-cam boxer engine (two per bank), a four-speed fully synchronized gearbox, independent front and rear suspension, and a beautiful hand-crafted aluminum body. 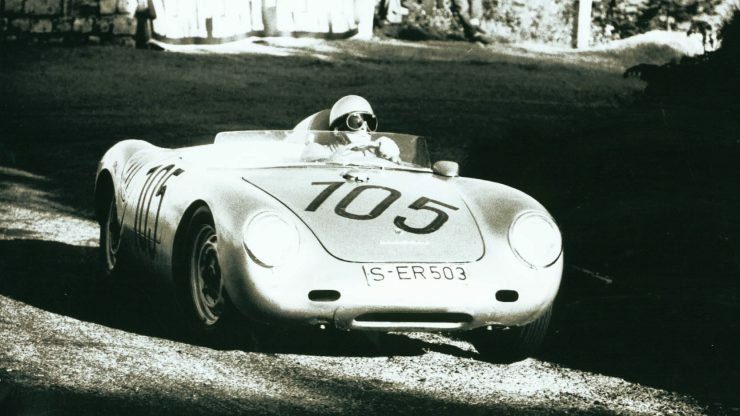 Approximately 90 examples of the 550 Spyder would be built, including the Porsche 550A Spyder which made its debut in 1956. 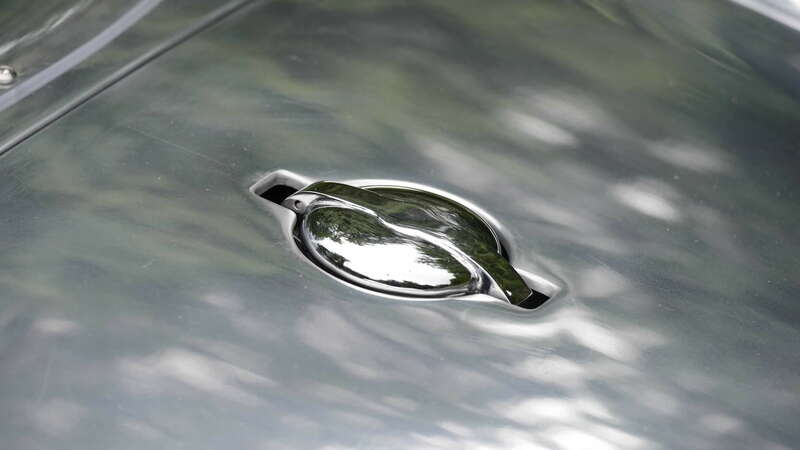 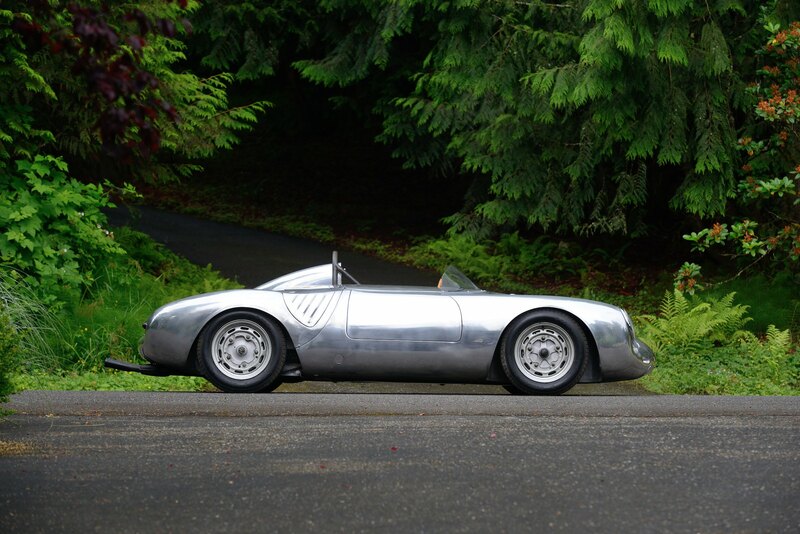 Though almost indistinguishable from the outside, the 550A was a very different car under the skin. 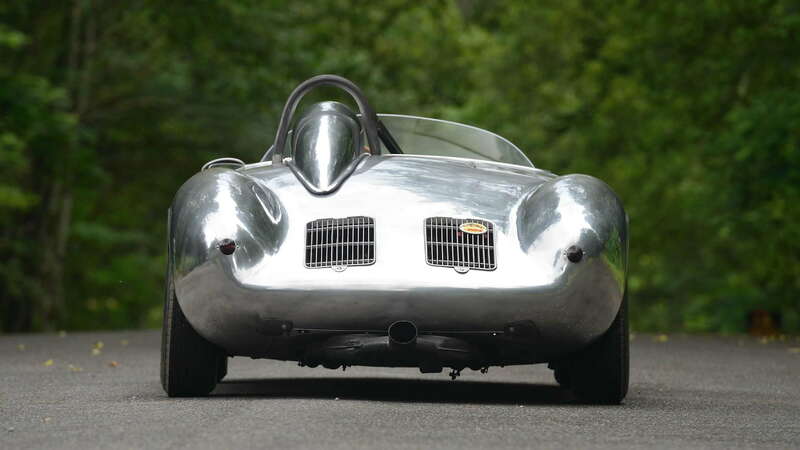 It made use of an advanced space frame chassis that shaved an additional 60 lbs off the already low kerb weight, and notably increased rigidity. 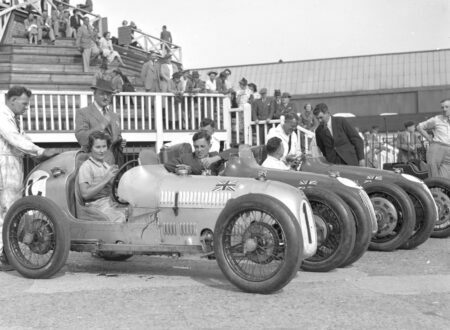 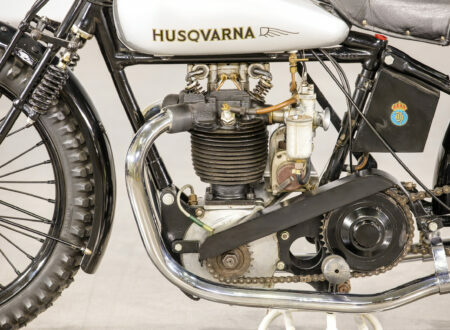 The 550A made use of the same all-aluminum four-cylinder boxer “Fuhrmann Engine” (Type 547) with a capacity of 1498cc, two bevel gear driven cams per bank, two valves per cylinder, twin two-barrel Solex PJJ carburetors, dual ignition (with two separate ignition manifolds), and two ignition coils. 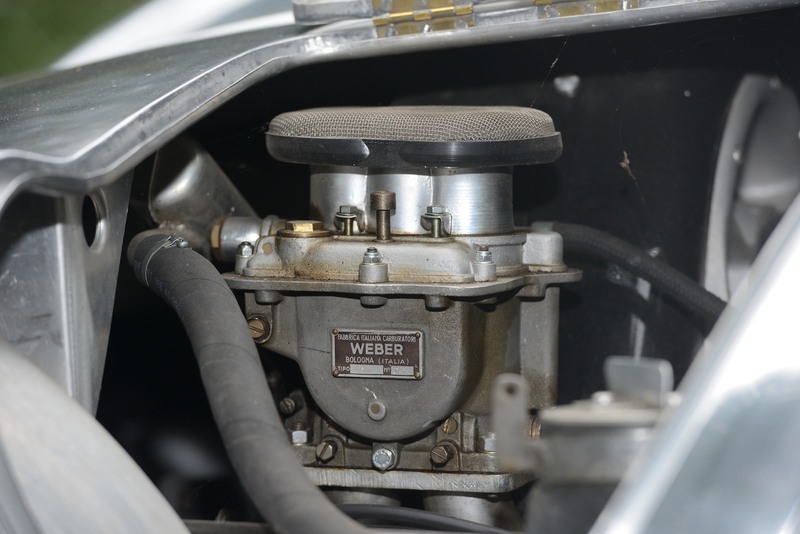 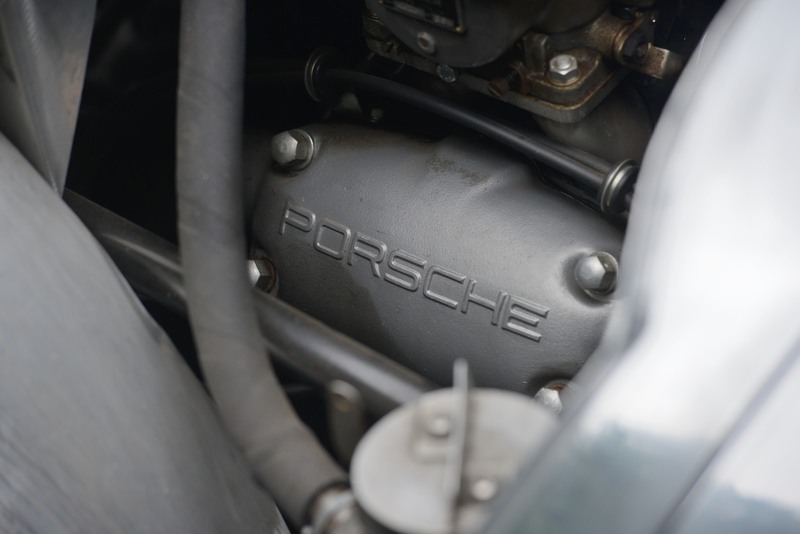 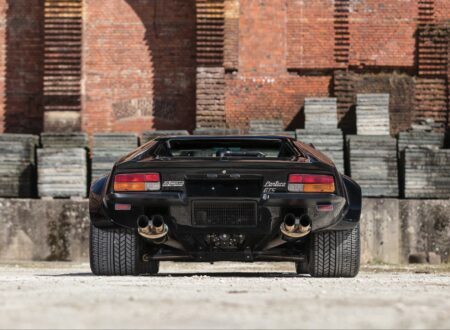 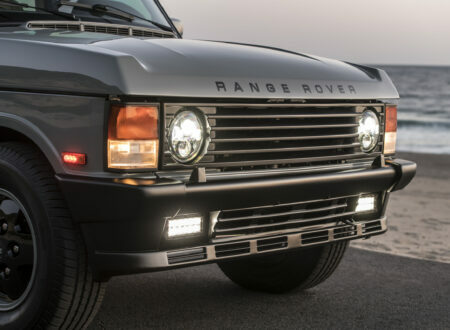 Despite the engine’s relatively small size it was a powerhouse, producing up to 135 hp and 89+ ft lbs of torque. 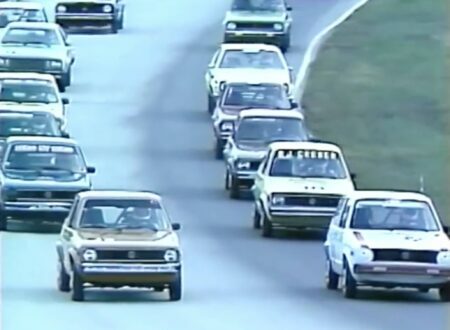 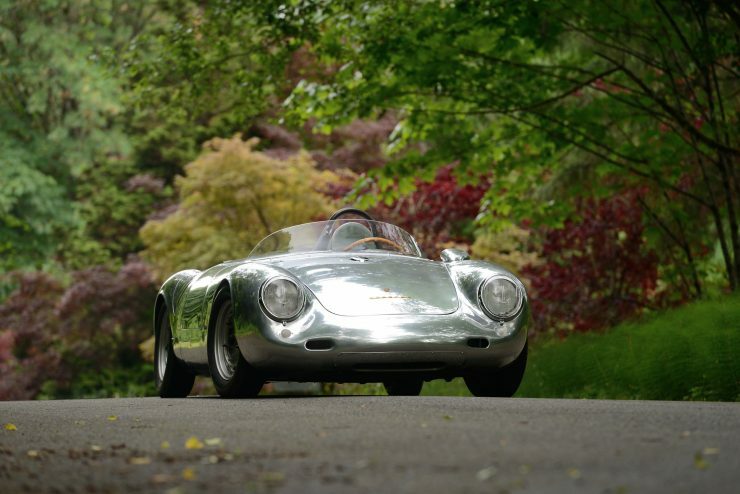 The kerb weight of just 550 kilograms (1,212 lbs) and height of under 1 meter (980mm) contributed to the car’s exceptional handling, and its ability to trounce far more powerful rivals. 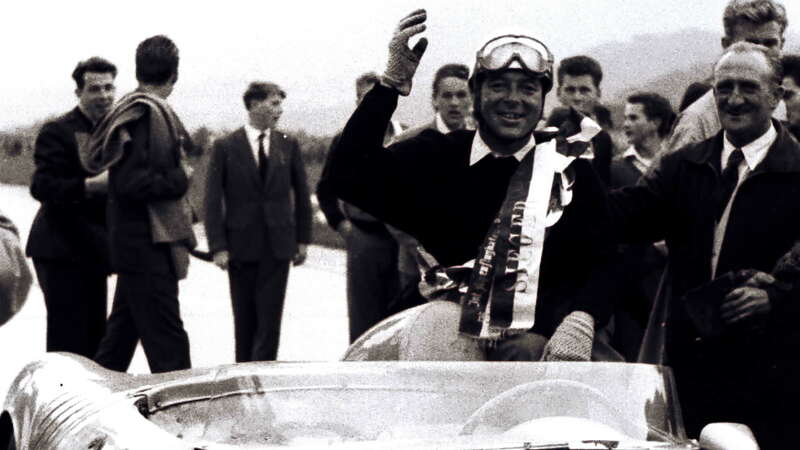 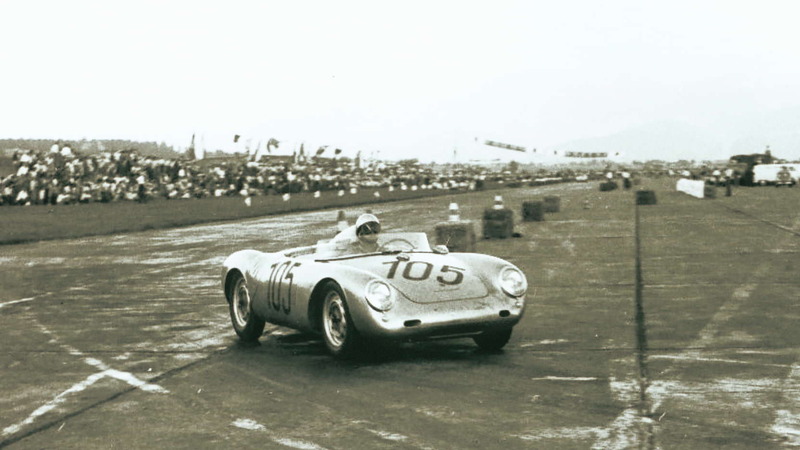 The list of races won by the 550 and the 550A is extensive, the former car won its first competitive outing at the Nurburgring Eifel Race in May 1953, it took a class win at the 1953 Carrera Panamericana, and it would take either wins or class wins at Goodwood, the Nurburgring, Le Mans, the Targa Florio, Berlin’s Avus, and in Buenos Aires. 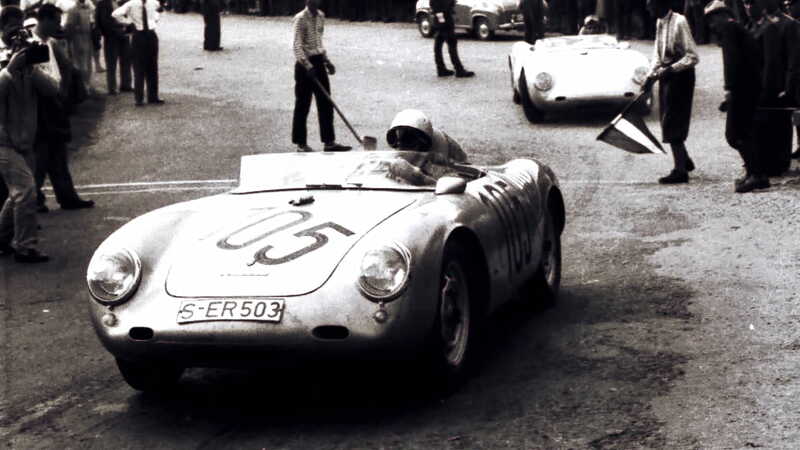 The Porsche 550A took a popular outright win at the 1956 Targa Florio, shocking field as it beat other cars with engines over double the size. 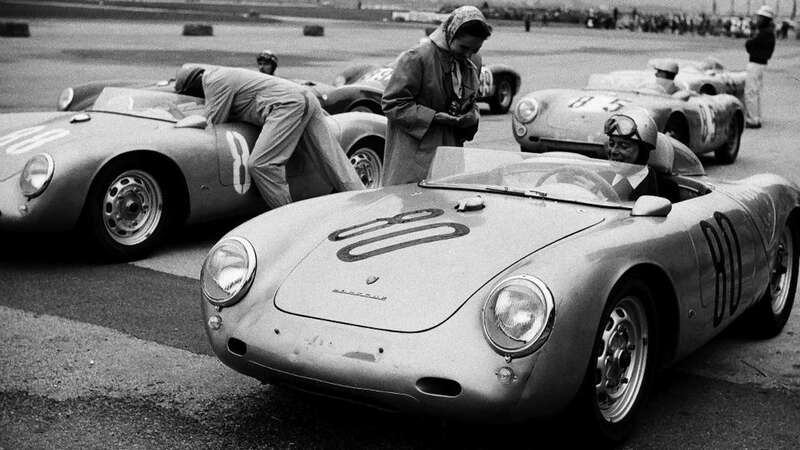 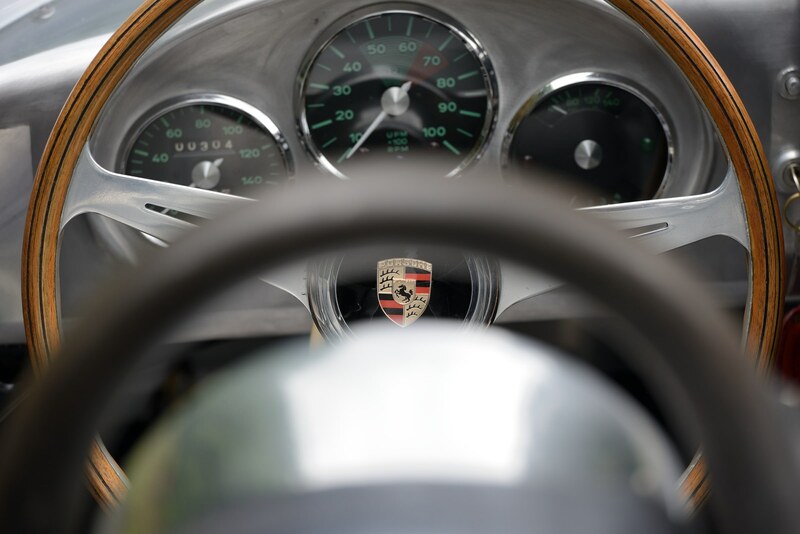 In 1957 the 550A would be replaced by the Porsche 718, more commonly known as the RSK, but the 550-series cars would continue competing successfully for years to come. The car you see here took 1st place at the GP Circuit d’Opatija in Yugoslavia in 1958, with additional wins at the Flugplatz Zeltweg and Innsbruck Flugplatz, with a 2nd place finish at the Flugplatz Wien Aspern, and an 8th at the Gaisberg Hill Climb – all in 1958. 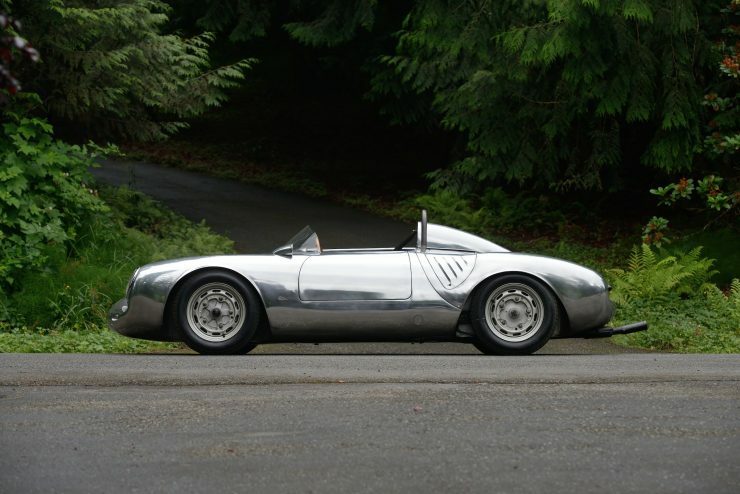 After its successful 1958 season competing in Europe, the car was sent back to Porsche for reconditioning, before it was sent to the USA and sold to Connecticut-based Porsche dealer and road-racer Harry Blanchard, who then entered it in a number of SCCA regional events up and down the east coast. The car would pass through a few more hands before ending up in a warehouse where it was discovered in 1984 by Steve Terrien. 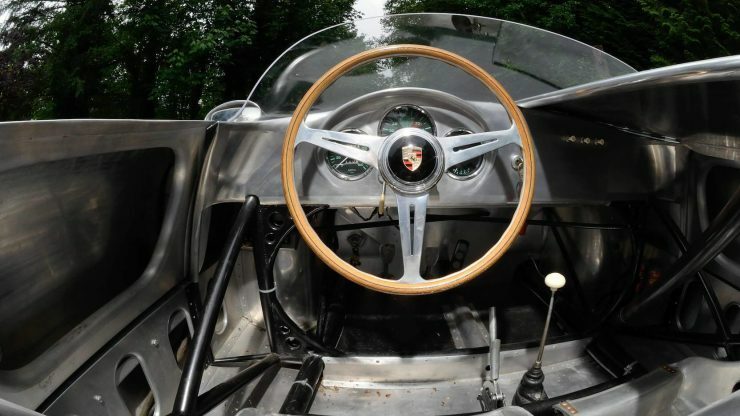 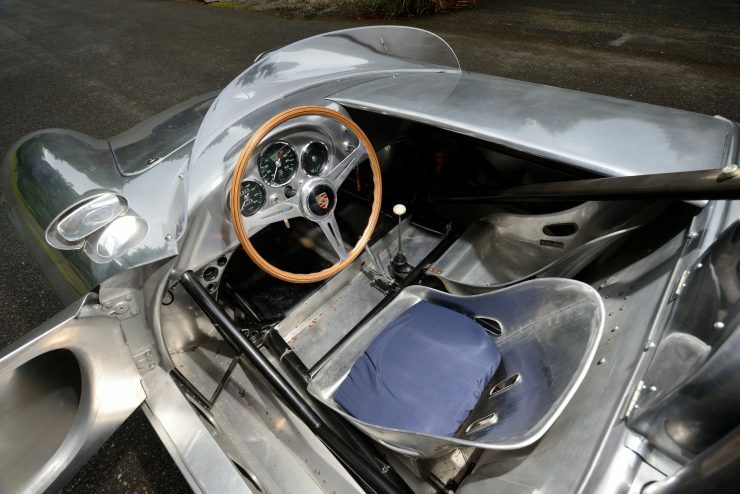 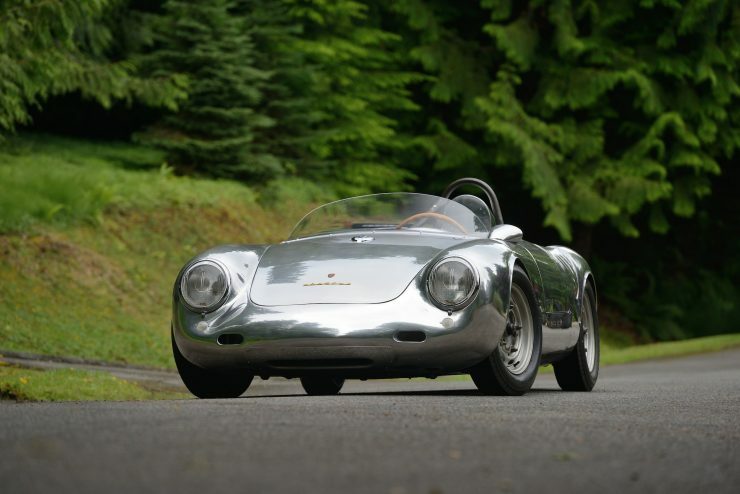 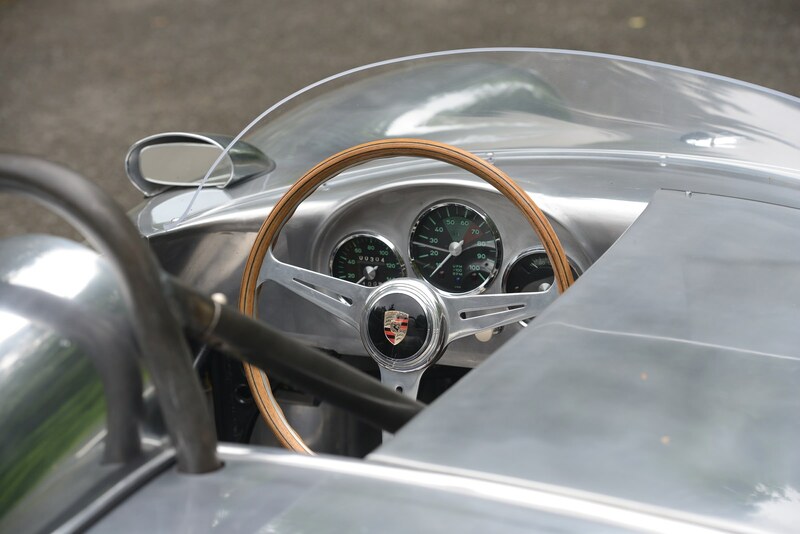 Terrien would spend 30 years slowly and methodically restoring the car back to its former glory, a new aluminum skin was shaped by the Kimmins brothers (world-renowned experts) they later used the same wooden buck to reconstruct another sister car, 550A-0129, which now resides in the Porsche Museum. 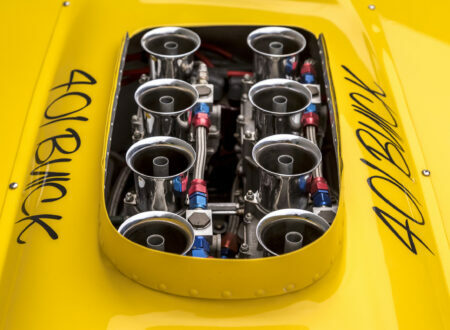 The engine was given a comprehensive restoration including a balance, blueprint, and overhaul by Bill Doyle, the well-recognized master of Fuhrmann four-cam engines. 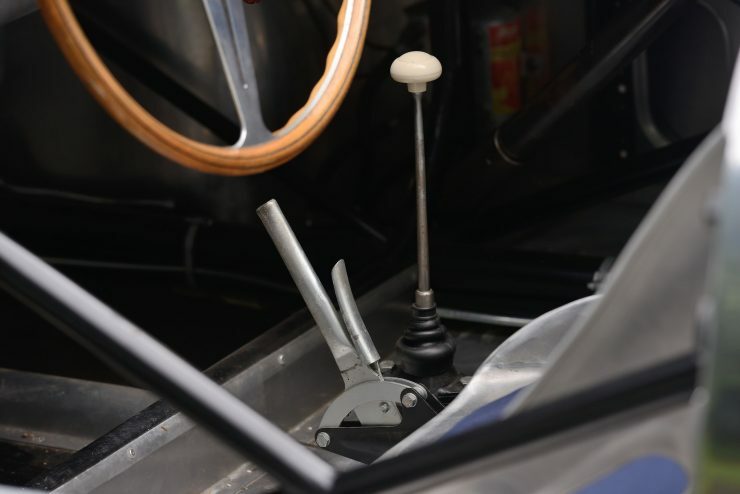 During the rebuilt, the rest of the mechanicals were also restored, including the original 5-speed transaxle, brakes, and suspension. 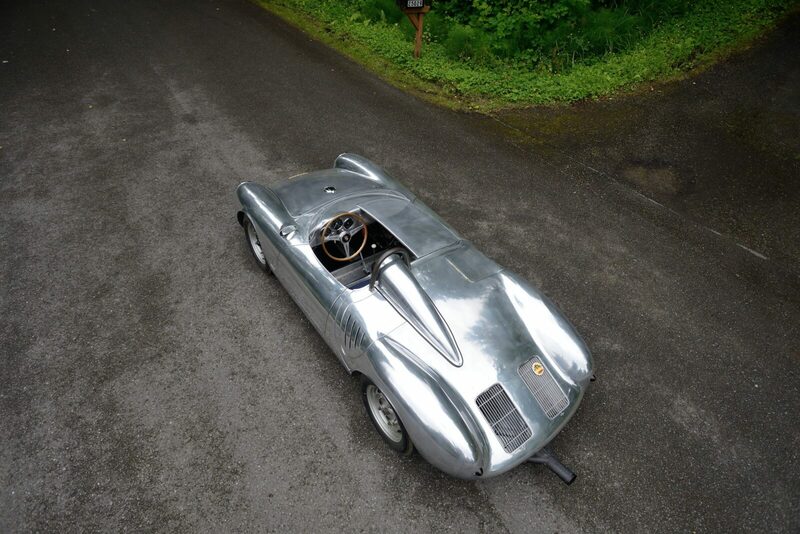 The car is due to be offered for sale by Mecum Auctions in Monterey in late August, there’s currently no estimate listed but you can click here to read more or register to bid.